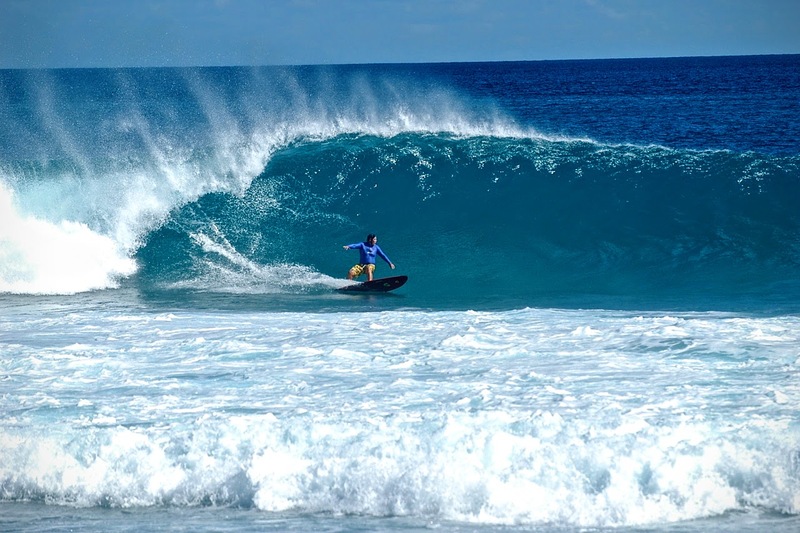 Pasta Point is the wave-machine of the North Malé Atoll. It’s consistent, handles NE-SE winds, the waves typically stay in the 4-6 feet range, but even in 1-2 foot waves it still breaks exactly the same. The former home to the Sri Lankan Airlines Pro World Qualifying Series (WQS) event, Pasta Point takes its name from an Italian resort (Thari Village) once located there (which had a tendency for dumping leftover noodles in the surf). The first takeoff section leads to what is termed Macaroni Bowl, which spits you out for a cutback or some top turns before the fast and shallow end section known as Lockjaws—a subtle reminder to avoid the shallow reef of this section if you want to continue enjoying your macaroni. The best time for Pasta is between May and August (Southeast Monsoon, locally called the Hulhangu Moosun) when the south to southwest trade winds keep the winds offshore and the southern swells are most consistent. The Cinnamon Dhonveli Maldives resort now located on shore claims exclusive access to the break and only allows 30 surfers to stay there at a time.